Fried fish, but not the usual for a Good Friday dinner. 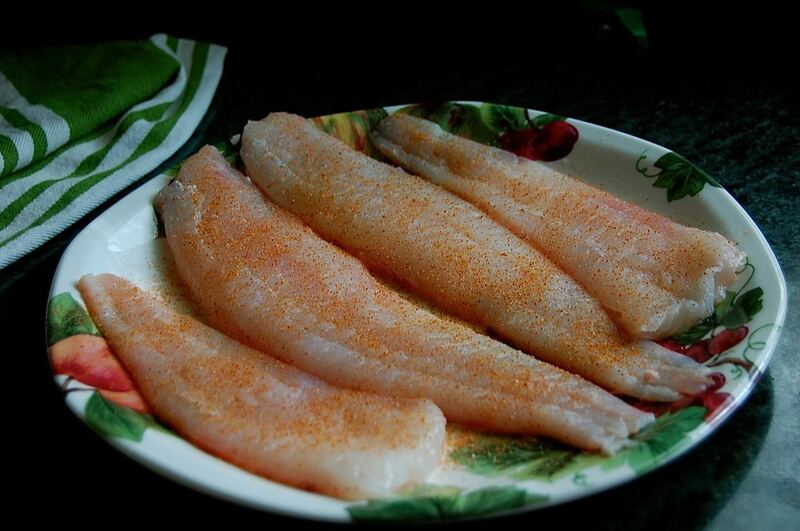 Today, super fresh flounder fillets that someone forgot to skin, but I did that and then a little Slap Yo Mama fish fry and seasonings for Ensenada style fish tacos. 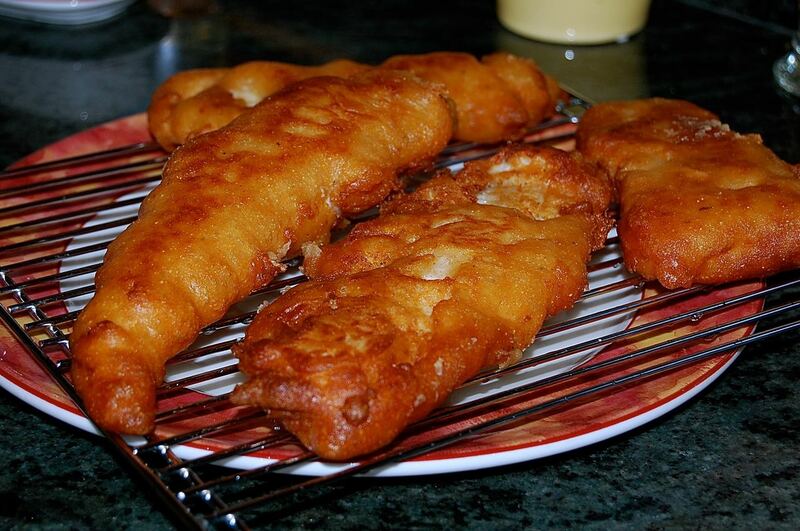 Delicious and so easy beginning with seasoned fillets and a good beer batter. Serve with warm tortillas and garnish with a Napa cabbage, red onions, jalapeños fresh lime wedges, and a freshly made creamy jalapeño ranch style dressing. Thoroughly blend, cover and refrigerate. For the batter enough for 1+1/2 pounds of fish blend all of the dry ingredients and whisk in the beer and hopefully most of the lumps will disappear with some good whisking . Cover and refrigerate for 10-20 minutes. Batter your seasoned fillets and fry in hot oil, drain finished pieces on a rack over a sheet pan, keep warm. The fish took no more than 3 minutes on one side and 2-3 on the other or until crispy and golden. I used Canola oil today.